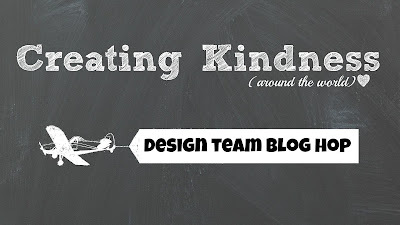 Welcome to the first (of many) of the new Creating Kindness Design Team Blog Hop! Yay! 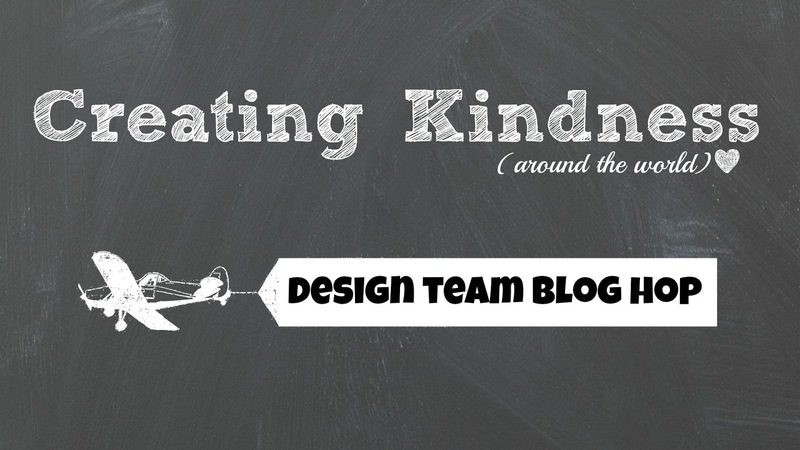 I'm very excited to say that I'm a Design Team Member on this great group of demonstrators! Every month, we will bring you a blog hop & a video hop on YouTube! So not only do you get to see the photos of the beautiful projects we make, but you also get a tutorial video with it! I've had so much fun making these cards for you today... We're working with new products from the new Annual Catalog today! And there a few (read lots!) of things in there that I'm very excited about! I love love love this new stamp set!! Isn't it delightful? It's called You're Delightful & it's a Hostess Stamp Set. And it's even better in Copper heat emboss! I've teamed it with the new Designer Series Papers, Wood Textures DSP & the Delightful Daisy DSP. You may have also spied the new Copper Trim & one of the new InColours, Tranquil Tide. My card base is Smoky Slate & I've used the Lots of Labels Dies to cut the Wood Textures DSP for the sentiments. There are two big sentiments in this stamp set, along with a bunch of cute smaller sentiments & some little speech bubble emoticons. Here's the other big sentiment, You're the Best! I've made these cards to give out to my customers who come to my New Catalog Launch this weekend. If you're local to the Bellarine Peninsula & you'd like to attend, please click my Facebook badge on my blog & have a look under my events for the info. And here's a little video I've made for you all. Please make sure you go around the hop below & see all the projects. You can also view the linked YouTube videos that were made for this hop. Remember to use my June Hostess Code GFT7FMJJ at the bottom of your Shopping Cart & get a handmade card & a gift from me at the end of the month! Please note, you must reside in Australia to order from me.